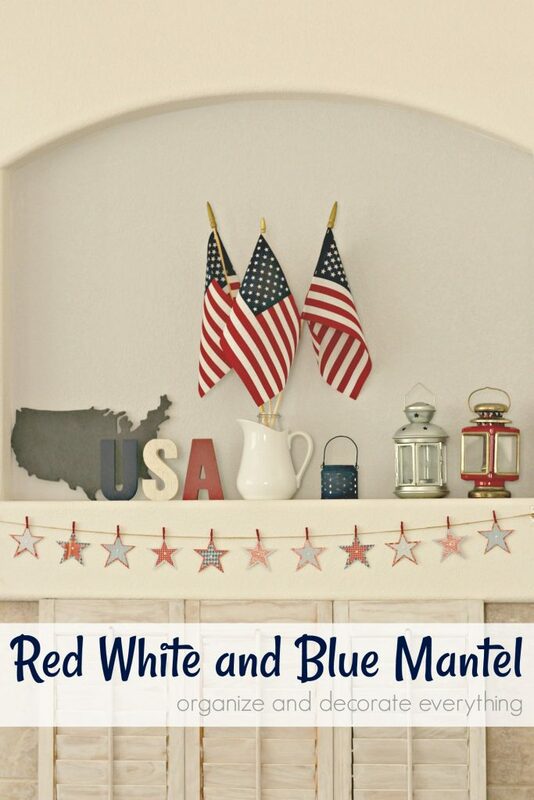 It’s that time of year for another Red White and Blue Mantel. Summer and red white and blue go together flawlessly. 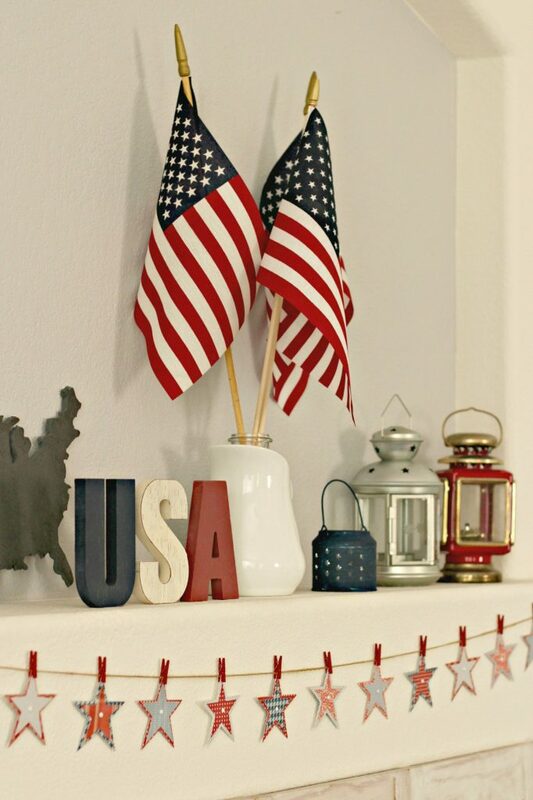 One of my favorite things about Summer is getting my house all decked out in red white and blue. I don’t even think I would mind decorating with these colors year round. 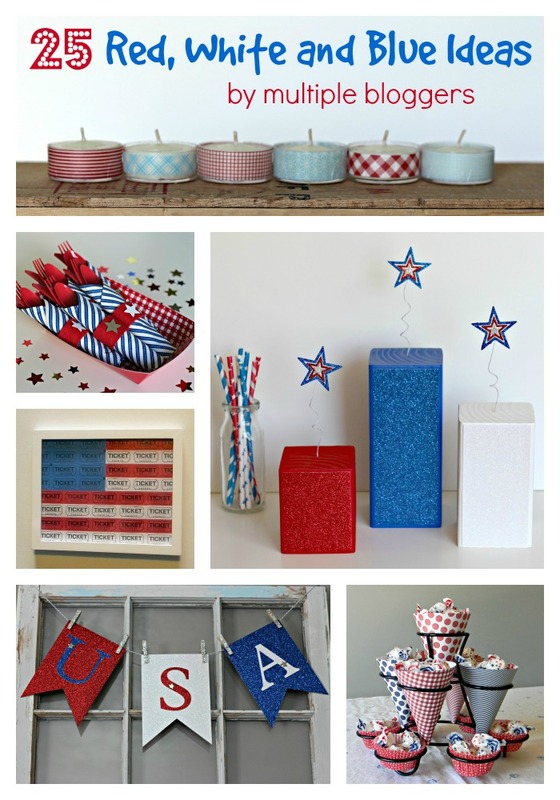 A couple years ago I shared a post about decorating with red white and blue and I love all the beautiful decorating ideas and how some of them are very subtle. Check it out if you want to learn how to incorporate more of these colors into your home decor. But let’s talk about this mantel right now. 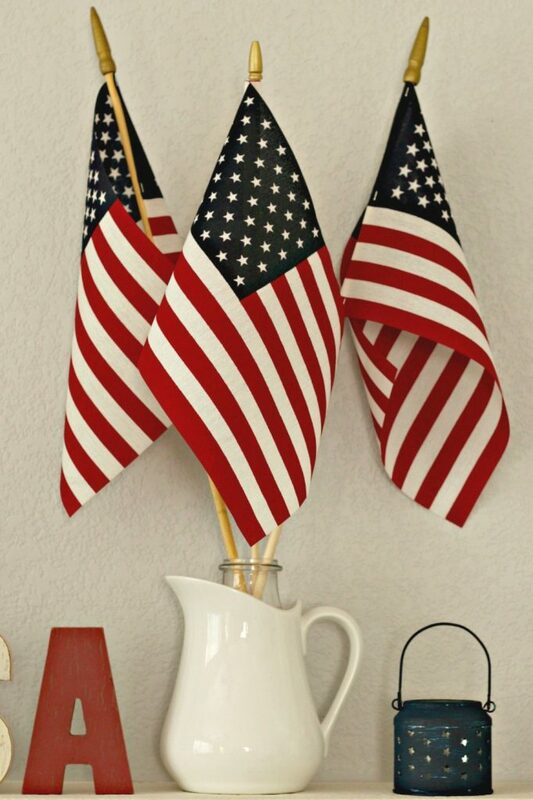 For some reason I have a huge amount of flags stored away, which is okay since they’re easy to store and easy to add to existing home decor. While I wouldn’t mind going out and buying more holiday decor I’m going to be my typical self and use what I already have. I hope by doing this you can see that it’s possible to decorate a home, even for holidays, without spending extra money. The flags weren’t staying where I wanted them to in the pitcher so I added a bottle to the pitcher and placed the flags inside it. I might use moss or something else to hide the bottle top. 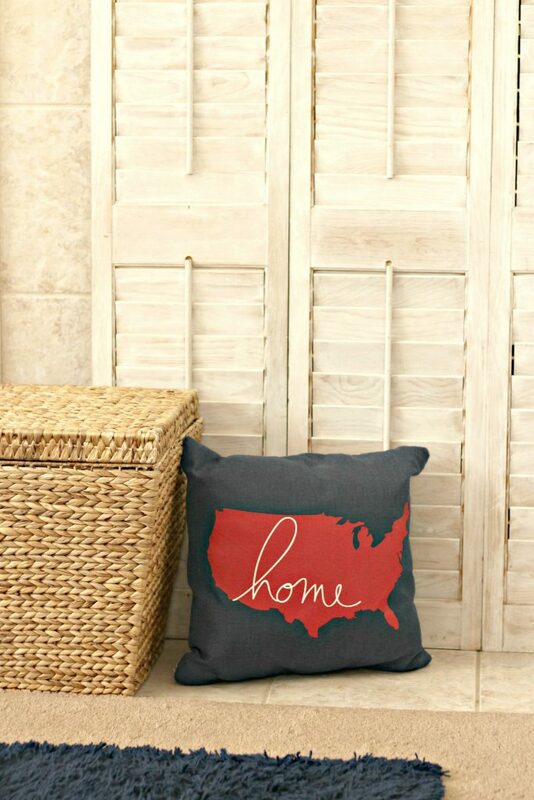 You could also fill the pitcher with pebbles or sand to stick the flags in. 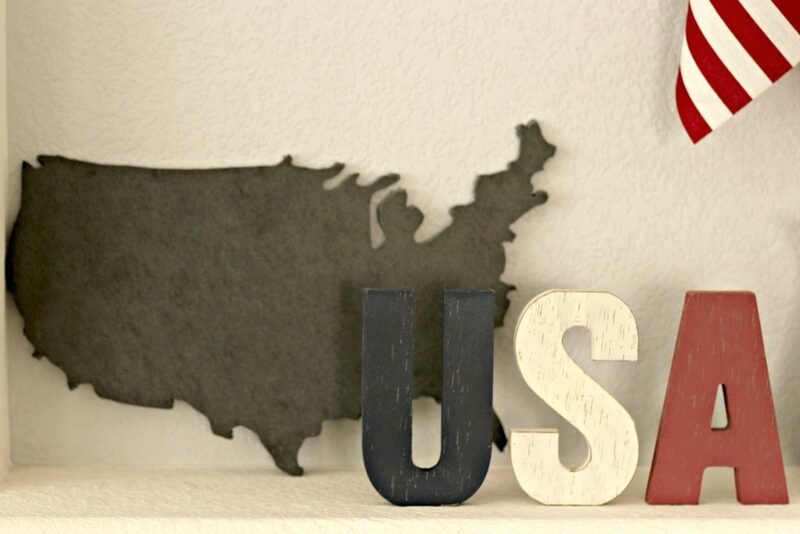 The black slate shape of the United States is actually a cheese board and can also be used as a chalkboard. I’ll probably write something on it as soon as I think of something clever but it looks great as it is too. Think outside the box and use items in different ways, even as home decor. 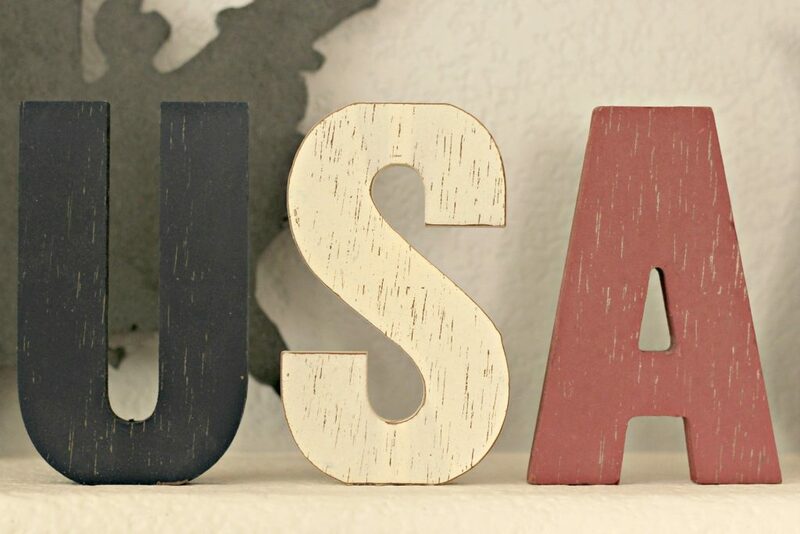 An inexpensive way to decorate for holidays is to purchase wood letters and paint them in holiday colors. You can usually do this for under $5. So if you’re on a budget this is a good option. 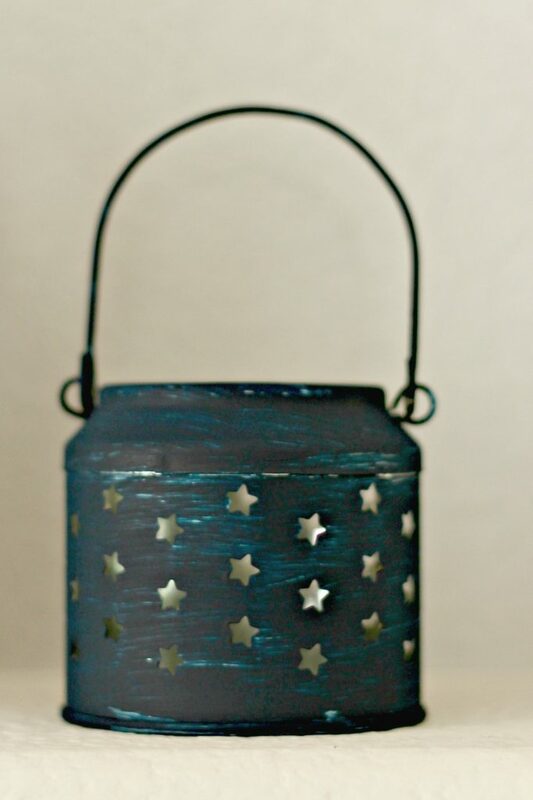 I wanted to use this little lantern on the mantel but the silver color wasn’t working so I painted it. I love how it looks old and worn. This is 2 coats of paint, if you want full coverage paint on 3 coats. Let it dry completely between coats of paint or the new paint will lift off some of the old layer. 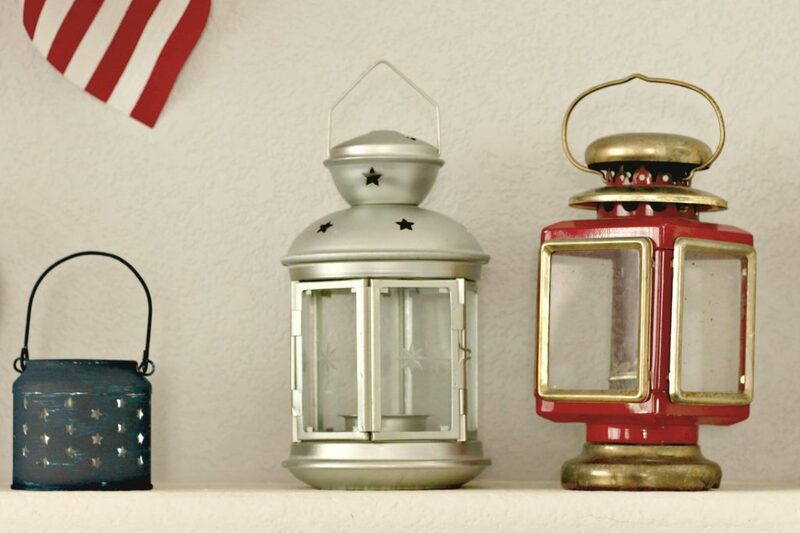 I like grouping objects together that are the same but different, like these lanterns. 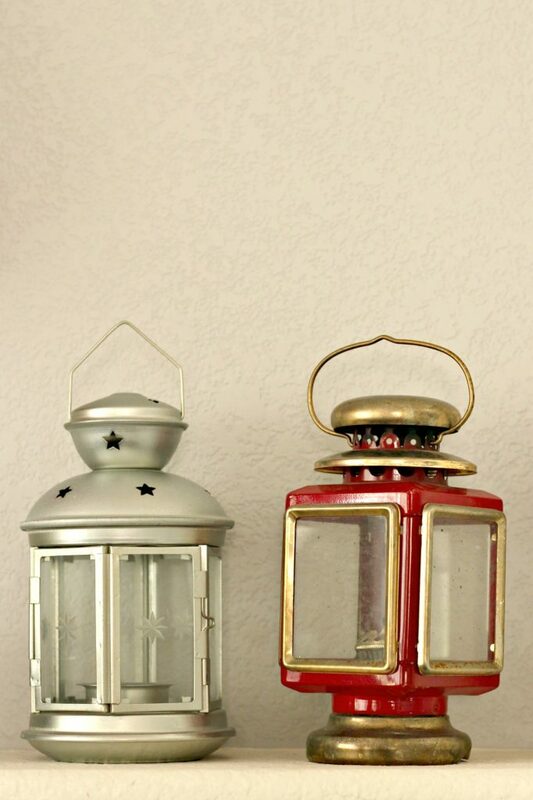 The red lantern came from an antique shop in Utah. I like it because it can easily be used as Christmas decor too. 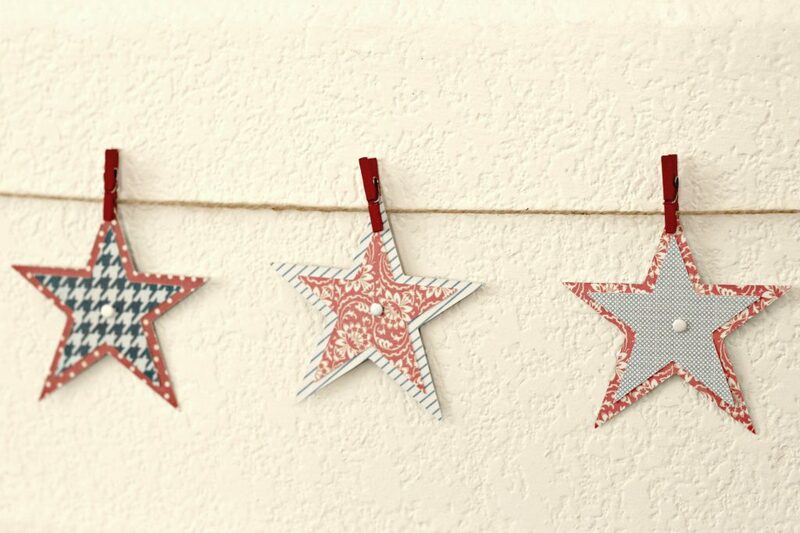 I made the star garland by cutting out stars in 2 different sizes using various decorative papers and securing them together with a small brad in the center. Just string them on twine with tiny clothespins and you have a simple and festive garland. Since our fireplace is non-functioning I’ve kept the shutters in front of it for purely decorative purposes. The basket holds blankets and I usually add something beside it to coordinate with the mantel decor. 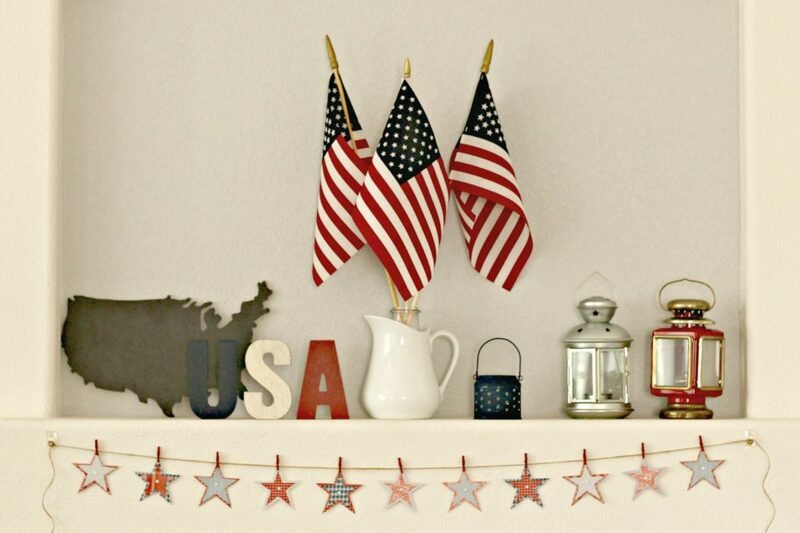 That’s it for my simple and festive red white and blue mantel. As I said before I didn’t have to purchase anything. Look around your house and see what you already have for holiday decorating.